Parents are without a doubt one of the most essential people in the lives of young children. From when they are born, our children are learning to rely on us as parents to protect and care for them as well as to implement the necessary steps that will promote and foster their well-being. While we are helping our children grow in this world it is only natural to be worried about what nutrition goes in their little bodies, even if we are looking for vegan options. Creating and managing a child’s diet, geared towards vegan alternatives, can be an overwhelming task sometimes for beginner and veteran cooks alike. We are here to put you at ease with a few simple and nutritional meals to add to your vegan cookbook. Starting off with one of the simple yet classy meals, the mother of all lunch meals, the sandwich. For starters it’s a good idea to have some whole grain sourdough bread or toast in the kitchen, possibly some slices in the freezer if your family does not eat it all too quickly, that way it is there whenever hunger strikes and you need easy access. 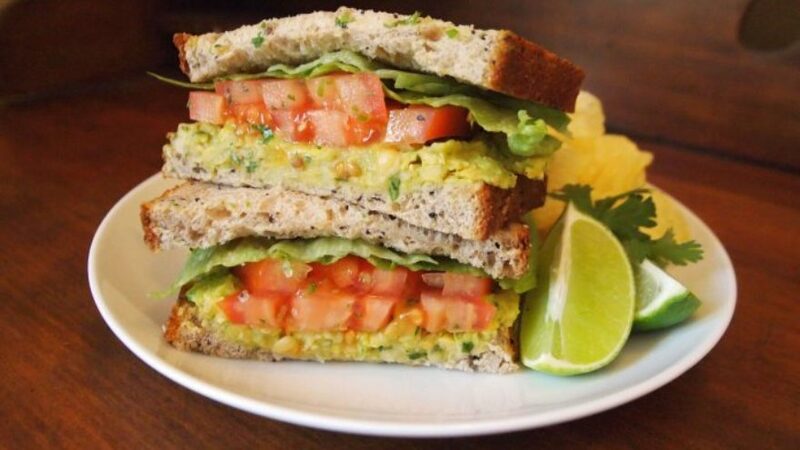 When it comes to the other ingredients of your sandwich you have a multitude of options to select from: have some vegan tofu cream cheese spread, peanut butter, soy yogurt, almond butter, mustard, hummus or other bean/lentil spreads, guacamole avocado, or even baba ganoush. With all those great healthy options you can easily mix and match and top your sandwiches with fruits and vegetables of choice. Some popular combinations include a hummus sandwich with avocado, tomato, and sprouts also the peanut butter and banana sandwich, which is a sweet, healthy and delicious go to. The use of some fresh fruit or cooked veggies loaded in your sandwich will help produce some wholesome and tasty meals. Also you can package these meals up in a sealed bag or tupperware and have ready to go for the next days lunch! Here we have another easy to make, delicious to intake meal with potatoes. There are usually good deals going on in the lives of potatoes and sweet potatoes so when you get them, load them up! Potatoes are nutritional powerhouses ready to be baked and do not require much effort at all. Steps to cook include placing potato on a baking sheet and baking in the oven for the length of time suitable for the potato size. Sweet potatoes make great appetizing breakfast or snack choices, by putting some nut butter, cinnamon and some fruit in the mix of everything you can really evolve the flavor. Also other options for cooking potatoes could even be with the microwave, usually three minutes do the trick for medium sized potatoes and they come out a little more soft, which is great for the little ones. Slice that potato down the middle and you can top it with avocado, beans, corn and salsa. You could even add some greens with the any of the potato meals. Potatoes overall provide a savory and healthy base for any diet. Who doesn’t love a good Wrap?! If you are interested in the most healthy choices for wraps you can view your stores choices of tortillas or lavash bread, the nutritional details will help you along the way. For the super healthy alternative you could seek collard greens, kale, or lettuce for the primary wrapping material. However if we are looking for the energy and satiety options the starches will be our best bet. Wraps can easily be one of the simplest meals to make. When hunger hits you can just whip out the greens or tortillas to spread some hummus or guacamole on it and fill it with beans, corn, grains, tofu and veggies that you and your kids love. To spice things you can go the Thai route with some extra spices and lemon juice! If you and the kids are feeling creative you can use nori sheets instead of flour tortillas as the base wrap. Smoothies are great meal replacements if you need something quick and easy. Smoothies are healthy, fresh and a versatile option, especially vegan style. For a simple light take, you can use some ripe bananas for a sweet and creamy base, and add your other favorite fruits and veggies, and some flax or chia seeds. If you are looking for it to be a bit more hearty you can add some instant or rolled oats to the mix. Stevia and peanut butter will add some richness and flavor. Pour in some water or plant based milk and blend it all together. One of the perks of smoothie convenience is that it can be prepared as a freezer smoothie pack for the future when grab and go is literally just that. You can easily change the consistency from sip to munch by using less liquid and more additional ingredients, potentially you could even devise a smoothie bowl! Think back to when we were talking about those tortillas. Tortillas can be used for tacos used as is or cut to be a little smaller to preference the younger eaters. They make a nice and easy meal since tortillas can be heated in the microwave and kept fresh by using a damp paper towel between them and then filled with some deliciousness in the matter of minutes. Idea recipes for a vegan taco could consist of beans (naturally! ), and other fillings like lettuce, spinach, avocado, tomato and salsa. If you are looking for that mexican feel and taste you can add chilli powder, cumin and cilantro if you have those accessible. This is another one of those meals when the ingredient ideas can be as wild as the mind will let it. Take this opportunity and be creative with your kids on taco night! Another freestyle vegan dish that can allow you and your children to be creative are soups and stews! To keep ideas simple however, some type of starch is recommended to be the staple in them and then the addition of your choice vegetables. The range of flavors can umbrella out from curry, fresh herbs, soy sauce, tomato basil, veggie stock and so forth. If we are looking for a even more filling soup idea we can go with potato soups which just take a bit longer to make. A super quick potato soup meal can be prepared having some frozen chopped veggies heated in water, with some spices and cooked legumes added. Serve that over some starches with bread slices. One other popular soup recipe is a noodle soup cooked with a bunch of vegetables in some broth adding rice in the final minutes of preparation. Soups are extra convenient because it can be cooked in large quantities and last the family several days! Hopefully with some of these meal ideas and recipes it will help dilute the stress of everyday life or at the minimum the meal preparation part. We wanted to cultivate these meals to help you and your families plant based diet be a joyful breeze. When done correct, children who are raised vegan can flourish from that type of diet. Additionally, this sets the stage for better health habits in the future that could reduce the chances of serious health risk like obesity, diabetes, high blood pressure and more. 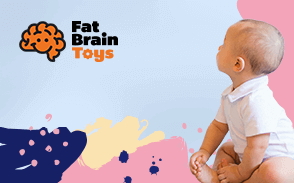 Enjoy these ideas and give your children a healthy head start.